Anyone this style of scifi? Does anyone know this type of futuristic style? Re: Anyone this style of scifi? 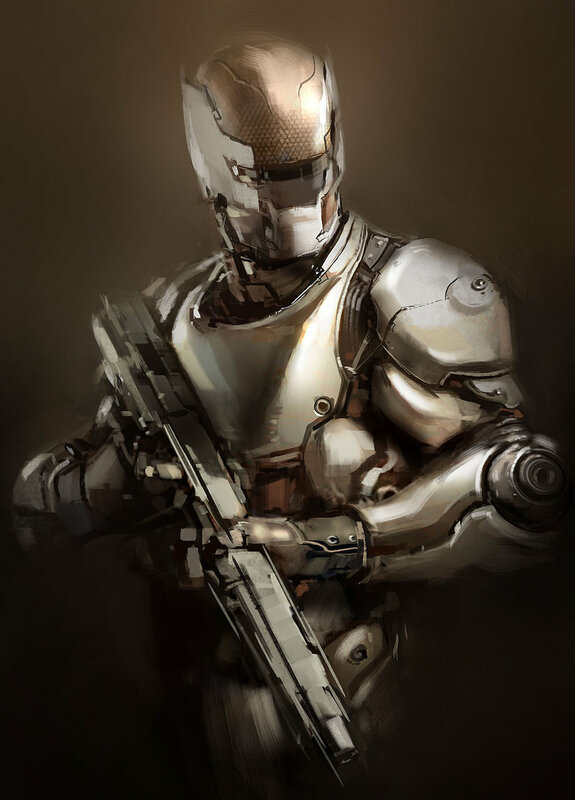 The mechanized Futuristic Super soldier is common in dystopian scifi... also in tons of really bad Japanese Scifi.. usually jumbo sized..fighting giant turtles and crap..
What is dystopian syfi? Also how do you reply directly to a post? To reply directly.. hit the quote link to the right side of the poster's name. ->>>>> that side of the screen.